يشكل Border Motel بموقعه الممتاز في جونديويندى نقطة انطلاق جيدة لاستكشاف هذه المدينة النابضة بالحياة. يحظى هذا الفندق ذو 3.5 نجمات بمكان ممتاز يسمح بالوصول إلى المعالم السياحية الأكبر في المدينة، فهو يبعد مسافة عن صخب المدينة. يوفر الفندق بفضل موقعة الجيد وصولاً سهلاً إلى أهم معالم المدينة.
. إن Border Motel حريص على توفير الراحة للنزلاء، فلا يوفر الموظفون جهداً في تقديم أفضل الخدمات وضمان حسن الاستقبال. يقدم الفندق فرصة للاستمتاع بشريحة واسعة من الخدمات بما فيها: واي فاي مجاني في جميع الغرف, خدمة سيارات الأجرة, تسجيل وصول/خروج سريع, تخزين الأمتعة, واي فاي في المناطق العامة . تنعكس أجواء Border Motel في غرف الضيوف.تلفزيون بشاشة مسطحة, اتصال لاسلكي بالإنترنت, اتصال لاسلكي بشبكة الإنترنت (مجاني), غرف لغير المدخنين, مكيف هواء هي بعض الميزات الموجود في العديد من الغرف. كما أن مجموعة الخدمات الواسعة الموجودة في الفندق لضمان راحتك تترك لك الكثير من الخيارات لقضاء وقتك أثناء فترة إقامتك. مهما كانت دواعي سفرك فإن Border Motel هو خيار ممتاز لإقامتك في جونديويندى. Excellent value and the kids loved the complimentary snacks! Complimentary items awesome, room clean, staff friendly & a great place to stay. Amazing attention to detail by the management, the little extras we continued to find in our room were so awesome, most of which we have never encountered before. A very well managed hotel and great service. A friend booked this for me last minute as I needed an overnight break on a long drive. The staff were extremely welcoming and nothing was too much trouble. Excellent clean room and value for money. I always stay here when in town. Great rates, located on the main street, close to everything you need, but nice and quiet. Beds are comfy. Rooms are always clean and tidy. Would recommend. I would stay here anytime. 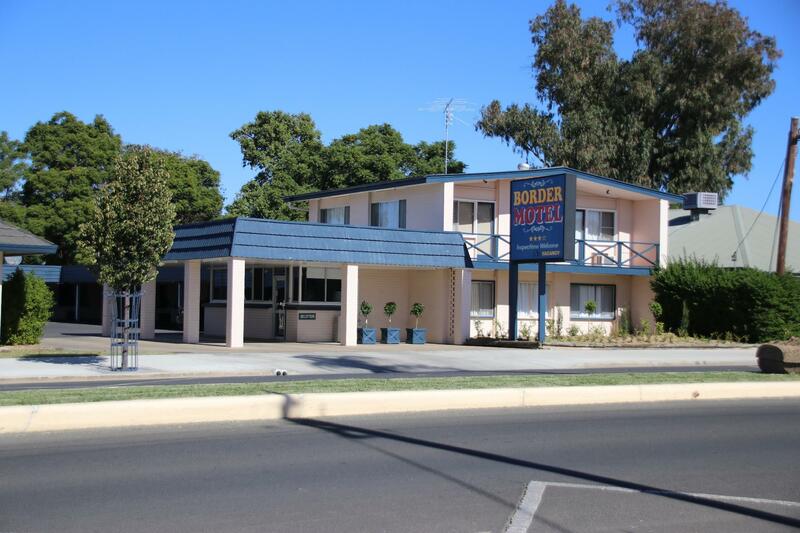 We were just stopping overnight on our way to QLD and found the staff very helpful, the room was clean, aircon was nice and cold and the bed was very comfortable. Old but everything you need,lots of power points, and hooks to hang things in the bathroom. Good size TV. Very satisfied. It was ok for a stop over but the animal noises was something else. So much for a good rest. Was anyone else constantly woken by a different animal each hour?!? Let us check in early so we could change aftera long drive. Very pleasant overnight stop. Rooms dated but clean and comfortable. Mentioned I had a sore back and they gave me a room with a new bed. Staff very friendly. Pity the external phone ringer rang at 3am - PLEASE get this switched off after hours. Quiet room & location, good off street parking, helpful staff. Good place to stop half way home. easy walk to shops and food. Central location inthis friendly town, easy walk to shops/pubs.